Welcome to our new HDMI Cable Benchmark. Unlike our other Benchmarks, this one will not be very complex. It is basically designed to test whether the new HDMI cables that are being sold everywhere will pass a 1080i digital video signal along with a Dolby Digital 5.1 digital audio signal for at least 39 feet (12 meters) of cable. The reason we are doing this is that we have found that not all HDMI cables will pass these signals properly for long distances. Sure, they might work in a 6 foot cable, but many of us need longer cables to take the video signal across the room to the projector. Our feeling on this, is that if the cable will pass digital video and audio for at least 39 feet (12 meters is a common maximum length that manufacturers can supply, which equals 39.37 feet), then it is built well, and will do a good job at all lengths less than that which you might need to purchase. Our test is simple. 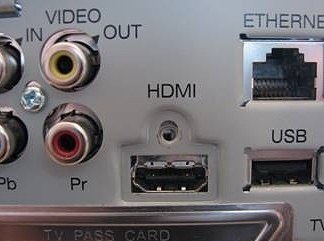 The cable must pass the digital video and audio (source can either be a satellite box, using the HDMI output, or a high definition DVD player) to a surround sound processor and to a digital projector. The video must not have any sparkles in the image (sparkles indicate dropped bits), and the audio must be clear in all channels. We request the cable from the manufacturer in either 12 meters or 15 meters length, depending on what the maximum length they supply. If the 15 meter cable does not pass, then we request the 12 meter cable. Otherwise, if the 15 meter cable passes, all the better. Following are the cables that have passed the Benchmark. Because this is a new Benchmark, and the tests may change while we get it all standardized, we are not going to list the cables that failed our tests. At some later date, cables that fail the tests will be listed. Gefen is primarily a supplier of HDMI and DVI switchers, extenders, converters, adapters, and distribution amplifiers, but they also suppy cables, and they are very good quality. The cables are very flexible. I had absolutely no trouble with the 50 foot cable delivering 1080i video and DD 5.1 audio. They are not the least expensive cable out there, but we have found that some of the cheaper cables have problems, and that is why we started this Benchmark. With all the discussion about how HDMI plugs and jacks are not very robust, Best Deal Cables came up with a solution. They put a connecting tab on the plug, which you can see on top of the plug in the photo below. "Well, that's fine and dandy", you might say, "but my SSP doesn't have a slot for that tab." Ah, but Best Deal Cables thought of that too. They include two little screws that have a tiny ball on the end. What you do is remove the mounting screw above the HDMI jack that holds it in place . . .
. . . then you replace that screw with the ball screw that Best Deal supplies with the cable. The tab will not only hold the plug in the jack, but it will stabilize it as well, from flexing. This will help to prevent damage to the HDMI jacks that has plagued many users, including yours truly. Best Deal does not have a 50 footer, but they supplied their 10 meter cable which is almost 33 feet. It worked fine, although it is a bit stiffer than some of the other cables. However, what makes this cable special - besides the killer price - is the locking tab. Finally, manufacturers are starting to beef up the HDMI connector! Comects is a cable manufacturing company in Hong Kong. They sell HDMI - HDMI cables, HDMI - DVI cables, adapters, and extenders. 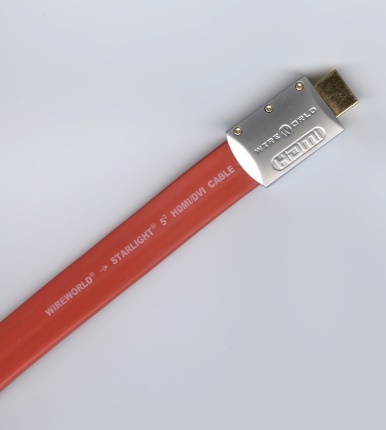 Their HDMI cables are available at a maximum length of 12 meters. The cables are rather stiff, so use some extra length to bend into tight places. The review unit passed the tests with no problems. HDTV Supply sells all kinds of cables, switchers, and extenders for HDMI and DVI. In the 50 foot version, they offer a tin-plated as well as silver-plated. Silver is a very good conductor, so I would suggest getting that option ($189.95) with a long cable like this (we tested the tin-plated version, not the silver-plated). The cable is quite thick, so it is best suited for placement inside a wall rather than under a rug. As such, it is also a bit less flexible than other cables, but that is not necessarily a problem. The review unit passed the tests with no difficulties. They specify testing to 1080p resolution, but state that you may need an HDMI booster (repeater) with some sources. At less than $200 for this 50 foot cable, even with the silver-plated conductors, it represents an excellent value. RAM Electronics sells not only HDMI cables and switchers, but video processors, Blue Tooth components, and other things. The 50 foot cable that we received for review is very flexible, as it is not thick, so this would be a good one for going around corners easily. It is also very inexpensive, there is good value here. They do offer a higher-end line (50 foot version is $400) that also can be purchased in a 75 foot length. Wireworld is a very well know company that makes fine cables. This particular HDMI cable is flat (0.15" thick) so it will go under rugs, and perhaps, even along a wall under the molding. The build quality on this cable is superb, reflecting its higher price than other cables of this same length. It is the only one that guarantees 1080p transmission without an HDMI repeater along the way. Image and sound quality were superb, and the cable passed all the tests with no problems. In spite of its heavy build, it is quite flexible, although this is only in the vertical direction. Since it is flat, it will not bend sideways very easily, so you need to give it a quarter twist when going around corners. They specify a minimum bending radius of 25mm (1"). The connector is the sturdiest we have tested so far.